The year was 1991; Anthony Hopkins was knee-deep in Hannibal Lecter, Vanilla Ice was bringing Caucasian hip-hop to the masses, Arsenal were First Division champions and all the cool kids wanted to be Steve Bould. After the Gunners took the title while losing just one game all season, sportswear brands were queuing around the block to snap up their stars on endorsement deals. A Bould decision indeed. The only natural choice. 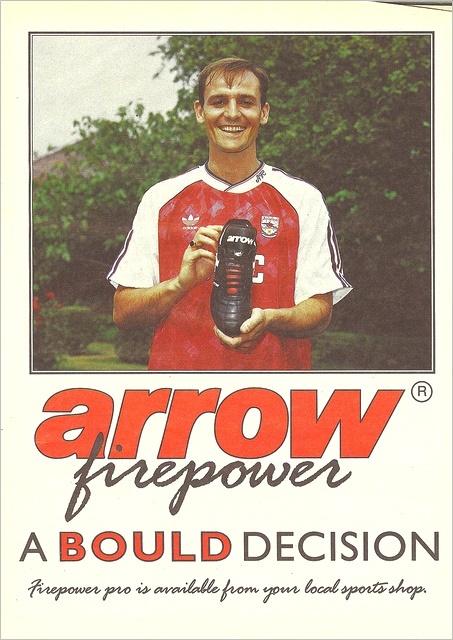 Arrow continued to attract some big names throughout their early-to-mid 1990s pomp, with Andy Townsend tied down as the exemplar of the ‘EX2’ boot. 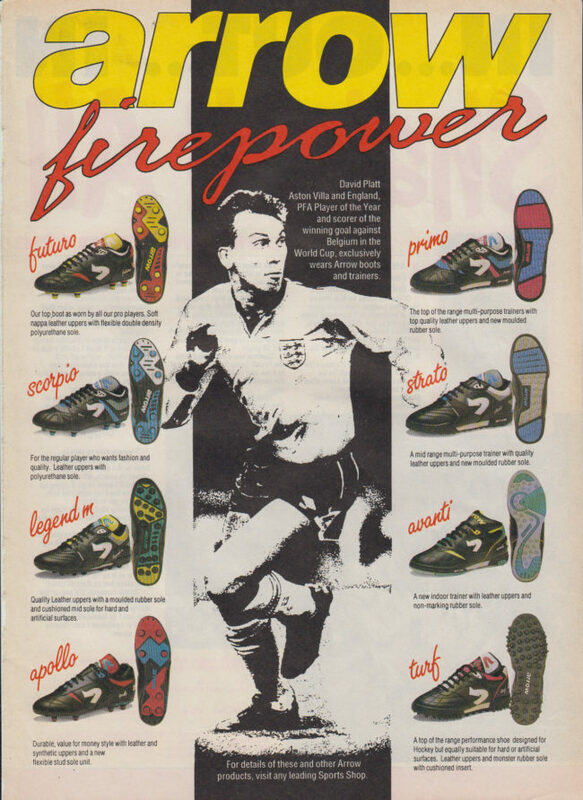 Still, just as Vinnie Jones will forever be synonymous with Top Man menswear, Arrow boots will always be ‘Bouldy’s boots’ as far as we’re concerned. Slightly off-topic, but could somebody explain the track suit jacket Bould is wearing on the photo? 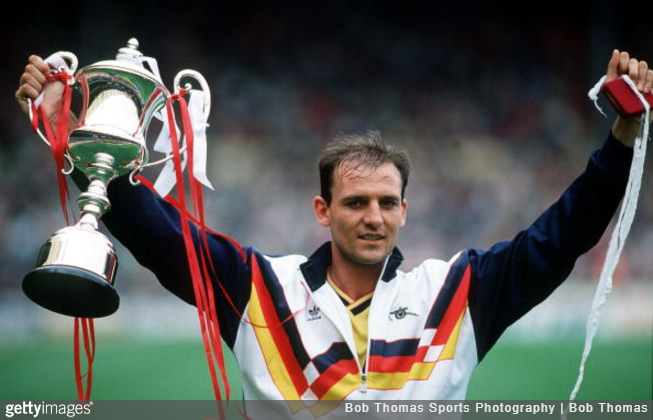 Its looks like the wc90 germany jersey, but with the gunners logo on the chest? Or was this the style for all adidas track suits back then, and Arsenal also had black-red-yellow stripes for a reason ?! it was the same style made famous by germany but it was navy blue not black. united and liverpool also had that trackie in red/white/black and white/grey/red respectively.